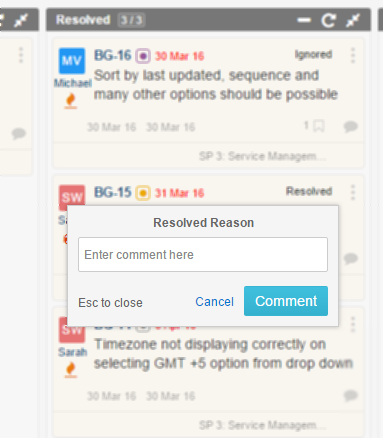 Very often teams want to log the reason when some issue/bug status is changed to resolved, ignored or closed etc. 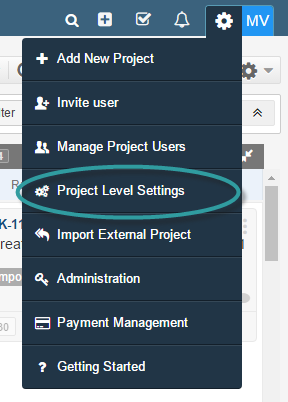 At project Edit Details page, there is setting to enforce users to add “reason”, when status is changed to specific values. Click on Settings for the project you want to edit. Check “Use Status Reason for Issues”. 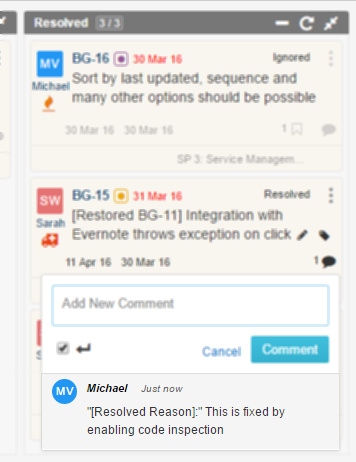 Now when ever issue status is changed to one of the following status, user will be prompted to enter the reason. This reason will be added to the comments with the prefix. In order to use status reason for custom statuses from the Status Set settings, this option must be enabled. Is there an option to choose in which statuses to use this feature? In our environment, we use some of the statuses in the list for different context, which does not need a “reason”. At the moment, its kind of fixed, however, we are working on bringing full flexibility to set any custom status at project level. Along with this change, we will also enable to turn on/off “Reason” for any status. So in simple terms, for now it’s not configurable but with our next release (Target for March 2016), it will be possible.